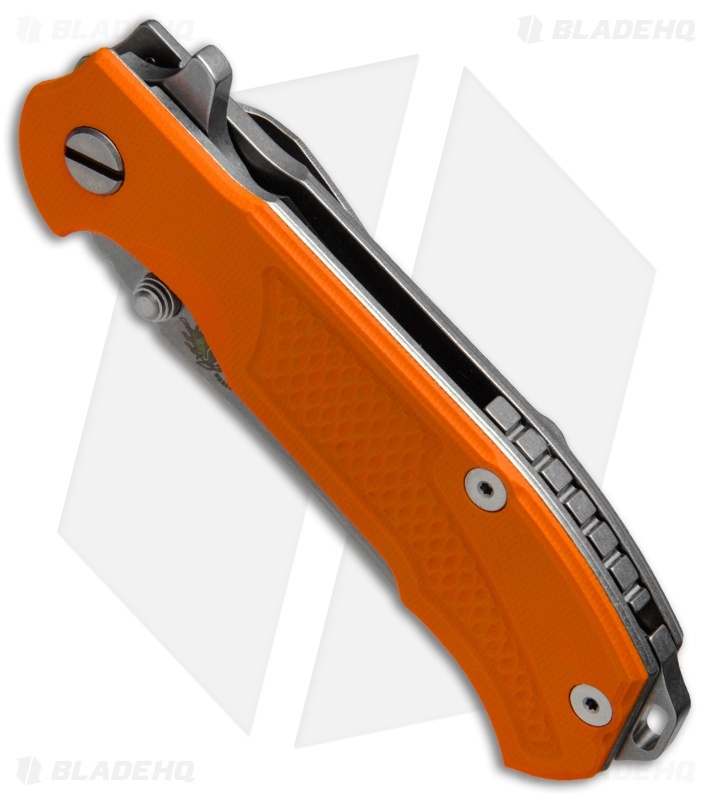 This MP-1 model sports an orange G-10 front scale and a stonewash finished CPM-S35VN stainless steel blade. The MP-1 (Modular Platform 1) is an exciting addition to Hinderer's lineup of frame lock flippers. 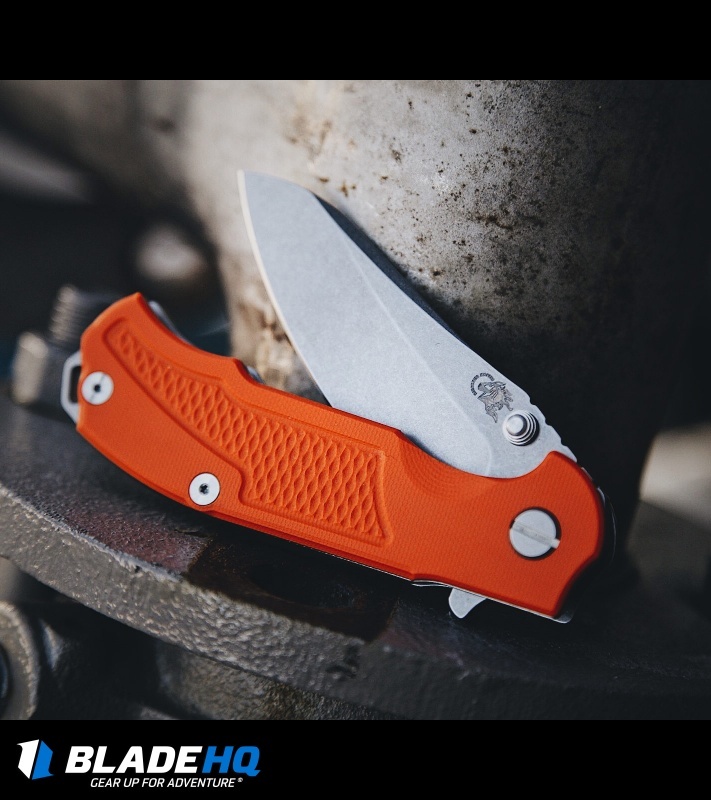 This knife is equipped with the Hinderer Modular Backspacer System, offering knife guys (and gals) a few easy customization options. 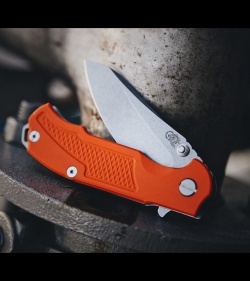 The backspacer is removable without disassembly of the knife, and can be replaced with a variety of tools and accessories from Hinderer Knives. 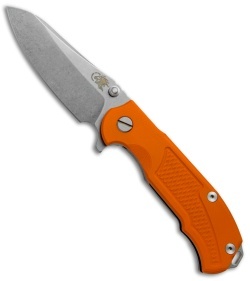 CPM-S35VN sheepsfoot blade makes an exceptional slicer. 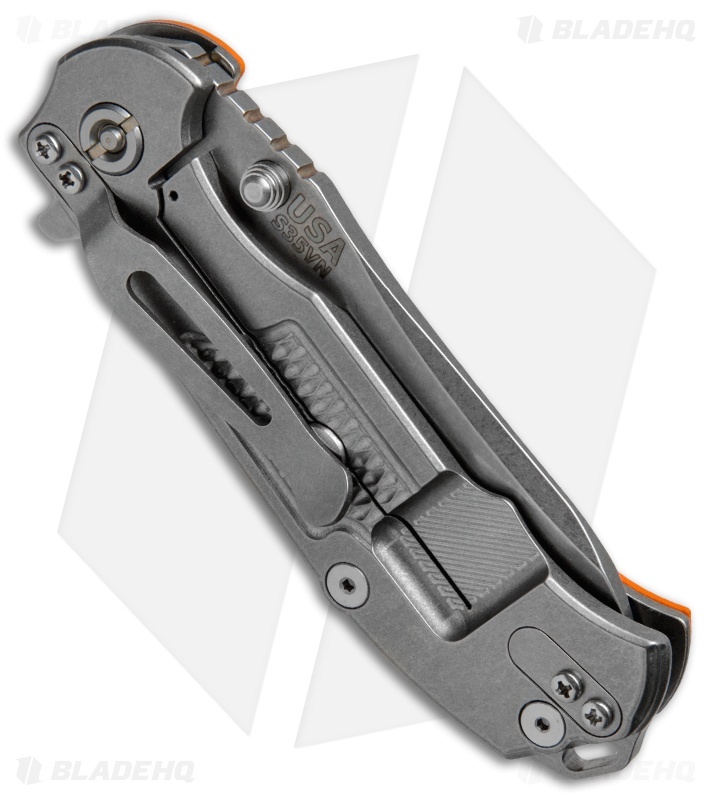 Titanium frame lock construction for a durable, lightweight frame. Over-sized floating stop pin offers extreme toughness. Patent pending Hinderer Modular Backspacer System delivers a touch of customization to make the knife your own.